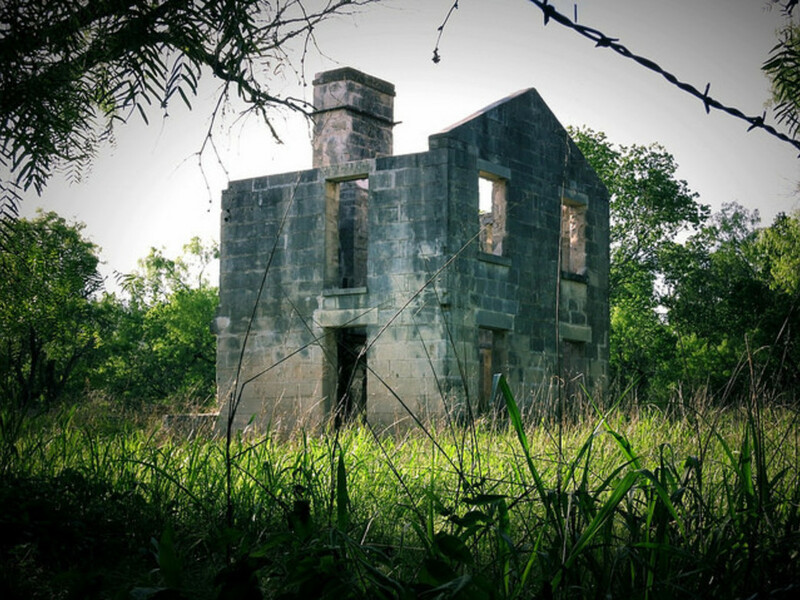 McKinney Falls is underrated, or at least misunderstood. It’s like the Rodney Dangerfield of Austin parks; it gets no respect. Or it's like the Bjork of parks. Beautiful and odd too, and often not fully appreciated for its uniqueness. Because it is a place of paradox. It’s full of beauty, ugliness, soft green nature, and hard falls. 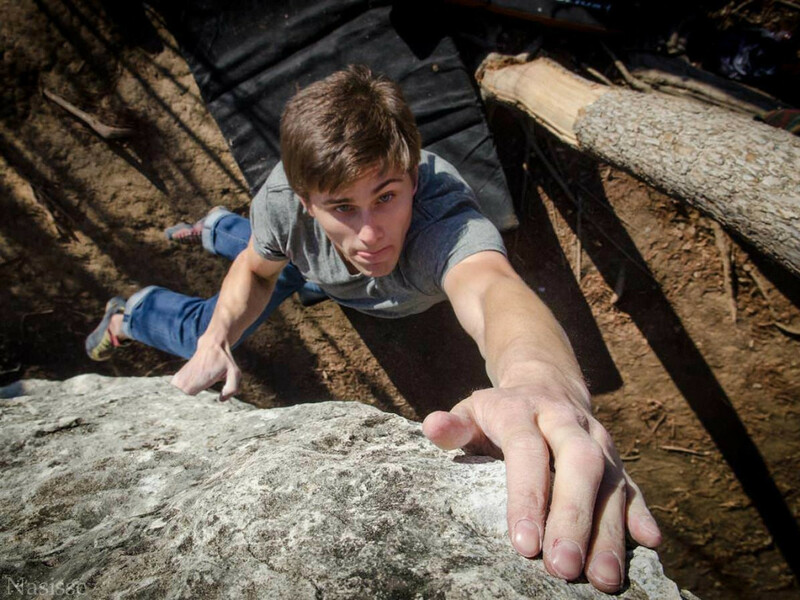 Excellent mountain biking, and crazy bouldering . Ankle-twisting trail runs and paved, kid-friendly strolls. Calm, clear streams, and rushing waterfalls with a little trash. Quiet primitive campsites, electrified RV spots, and a group recreation hall for noisy teens. Basically, perfect for everyone – families, youth groups, and lonely guys with Frisbees – you all will find something here. 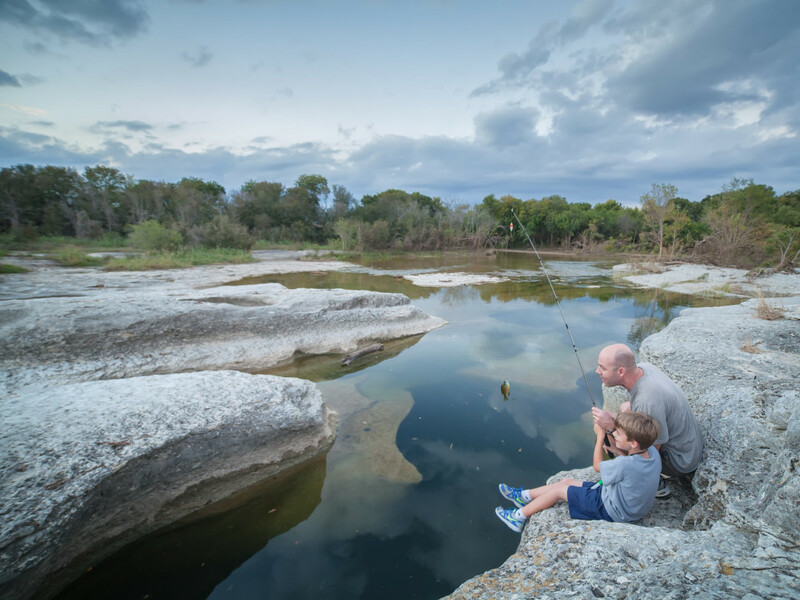 Just 15 minutes from downtown, McKinney Falls is the only state park within Austin city limits. And while it can get crowded, it feels surprisingly isolated, especially if you hit it at the right times – like mornings, before the Sixth-Street hangover crowd wakes up needing a bath under the falls. If you can get here before the hipsters get a nostalgic urge for fly fishing, you can find a quiet spot along the creek, or ride choice singletrack without fear of running over more than one toddler. 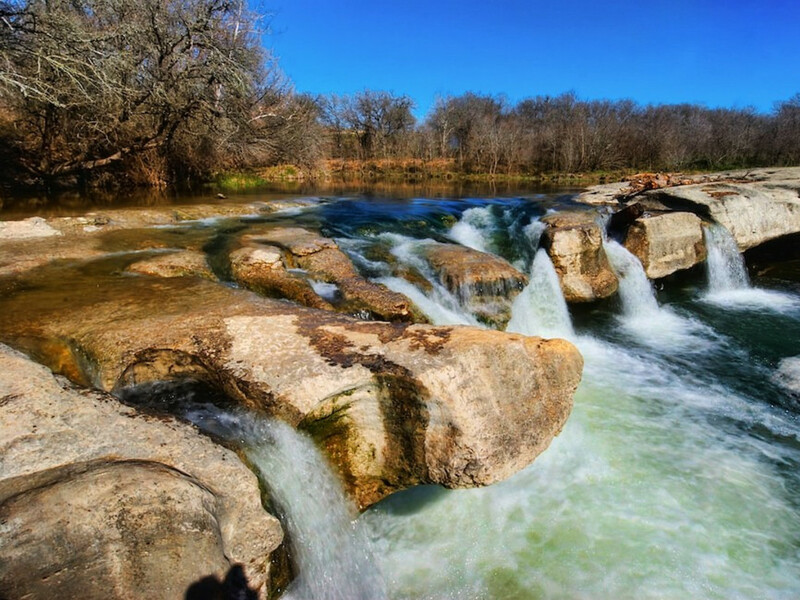 In all sincerity, McKinney Falls is a truly beautiful natural oasis just minutes from the middle of town. And the truth is, it’s almost forgotten. 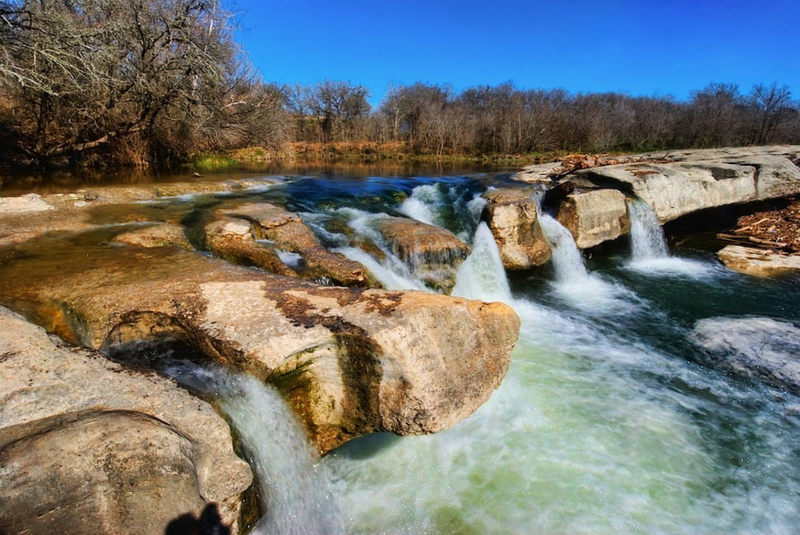 So many tend to focus on the Barton Creek Greenbelt and other nearby public parkland, all of which is wonderful, but McKinney Falls is sometimes overlooked. But it’s an excellent destination for anyone visiting Austin who wants to camp overnight, hike, climb, mountain bike, trail run, swim, fish, or otherwise just get away from the rush of the city, while still in it. One of the things I like so much about the place is that people of more diverse walks of life enjoy it, including those who you would rarely find at say, Red Bud Isle. I see many people enjoying the outdoors at McKinney falls who might feel too different, even passively avoided, at most other popular Austin spots. Timing : Hiking, running, and biking are great most of the time, except when high water prevents creek crossings. For swimming, if the weather has been dry for too long, the falls and Onion Creek will be little more than dribbles. And after a rain, like most city watersheds, the creek could be polluted and carrying trash and sediment. But catch it somewhere in between, up to a week after a light early summer rain, and this is one of the finest swimming holes, and closest-in, in Austin. Again, try to catch it earlier in the mornings, especially on weekends. Weekdays, except for shortly after rush hour, are generally tranquil at the park. Of course, all bets are off during festivals like Austin City Limits and South by Southwest. So if you’re coming into town for a festival and want to camp here, reserve a site way ahead of time. Food and Drink : While you’re in the southeast part of town, take the opportunity to visit the kind of places you won’t find elsewhere. For food, try one of the best-hidden hole-in-the-wall Mexican restaurants nearby, El Michoacano. Right across the highway from the airport, it’s convenient, and damn good. Their salsa and homemade tortillas are absolutely perfect. And do yourself a favor and get the quail in red sauce. For drinks, skip downtown and go south to the Moontower Saloon for some of the town’s coolest live music, brews, and trailer food. Fees : $6 per person. A bit steep, but hey, it’s a state park, their bathrooms are spotless, and the showers are hot. What more could you ask for? Oh, firewood? Um, yeah, like $1.25 per piece. Yeah, a bit steep, but…oh, did I already mention hot showers? However, camping fees are a reasonable $20-$25 depending on options. Group recreation hall, with kitchen, is $225 daily, while group primitive camping is $75/night. Also, check for burn bans before you go in the middle of summer to make sure you’ll fully enjoy your camping experience. Special note for 2014 : The park is still recovering from the historic flooding of late 2013, so you may notice some signs of recuperation, like construction projects and a sporadically-closed trail or two. But don’t let that dissuade you – go enjoy the other 95% of the place while park staff and volunteers are hard at work on some touch-up spots. All in all, McKinney Falls State Park is well worth your time if you want to get out of the rush while still within city limits. It’s a great place to exercise not just your body, but your paradigms too.